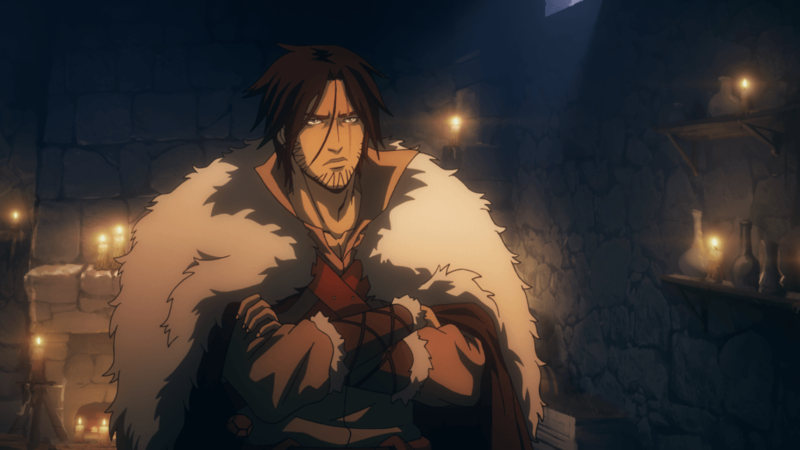 Netflix's Castlevania is a bloody, gothic and beautifully realized new series, even if it's frustratingly short and sometimes weirdly paced. A good video game adaptation is like a white peacock: they’re very rare, but they’re not impossible to find. For nearly twenty years, Hollywood has tried — often in vain — to mend the gap between gamers and filmgoers, which quickly resulted in some of the most spectacularly ill-fated slices of cinema to arrive in the 21st century. The reasoning is sound: it’s hard to capture the same rush one feels during their favorite game when you take the controller out of the equation. Films like Scott Pilgrim vs. The World and Wreck-It Ralph proved to be better adaptations than most (despite the fact that they’re, you know, not based on actual games) because they capture the high energy and emotional excitement of playing your favorite titles while also simultaneously providing excellent action beats, gorgeous set pieces and fantastically well-realized characters. Last year’s Assassin’s Creed and Warcraft, in comparison, tried to capture that same rich investment to no avail. It’s a tricky tightrope balance, ultimately, but Hollywood is slowly-but-surely proving themselves more successful. 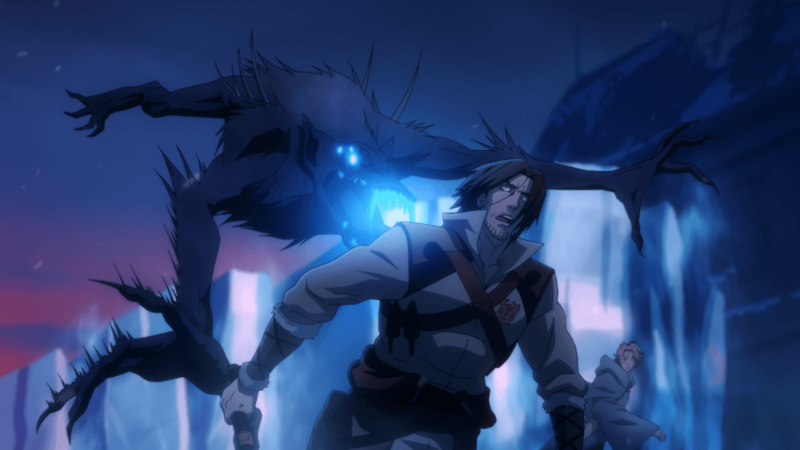 That’s certainly something that’s evident with Netflix’s stunningly animated Castlevania, which brings the long-standing Konami video game series to a new medium with exciting, if mixed, results. 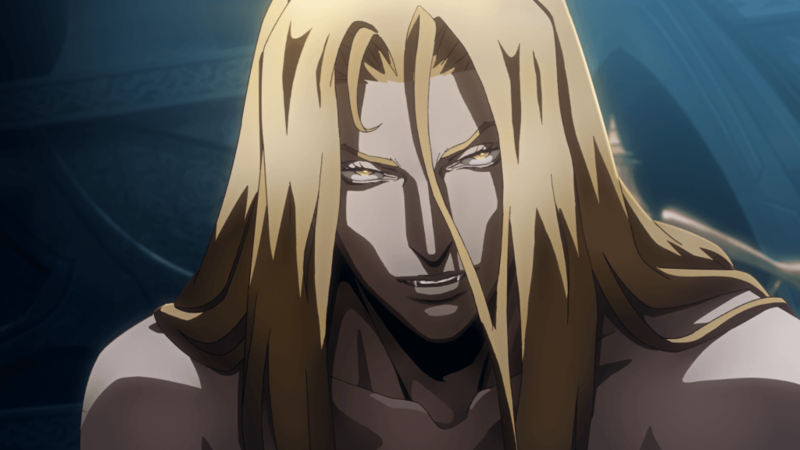 Written by prolific comic book writer Warren Ellis and developed by Adi Shankar (Power/Rangers, the very awesome Punisher: Dirty Laundry), Castlevania brings the classic ’80s video game into the anime format in hyper-violent, splashy and gory fashion. 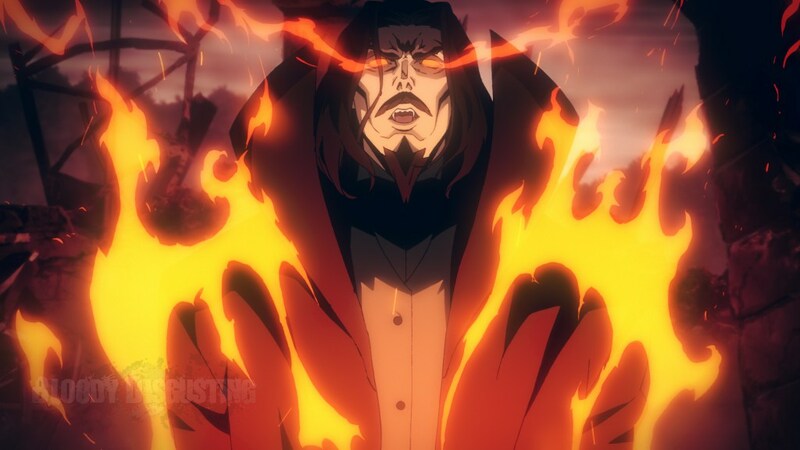 In 15th century Wallachia, Vlad Dracula Tepes (Preacher‘s Graham McTavish) unleashes hellbound fury onto the damned clergy and peasants of the land. That’s because their sacred beliefs in the ancient scripture make them fearful of witchcraft and sorcery, which results in the burning demise of Dracula’s one true love, his beloved wife Lisa (Emily Swallow). Believing man’s worth is now non-existent, Dracula promises to send his wicked plague onto the land in one year’s time. Thinking it’s all the Devil’s wicked lies, The Bishop (Matt Frewer) orders the townspeople to avert their gazes and ignore his claims. 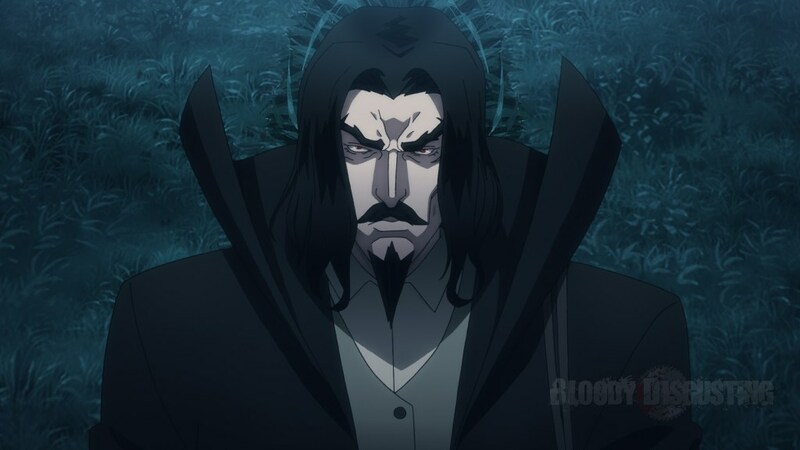 Of course, Dracula is an undead man of his word, and soon humanity is plagued with demons and death. 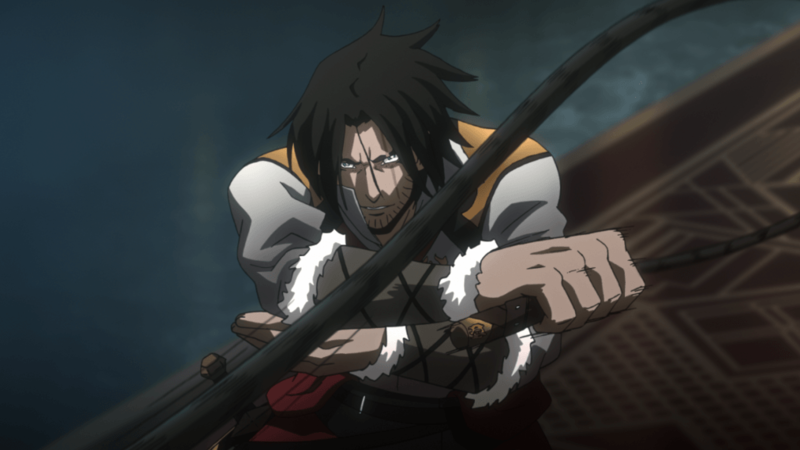 With their lives taxed and their morality remaining an ever-constant threat, the townspeople of Wallachia now live in fear and distrust of others, namely outsiders, which isn’t necessarily a good thing for the drunken, disgraced demon hunter Trevor Belmont (The Hobbit‘s Richard Armitage). The last living member of the Belmont clan, Trevor stumbles through Wallachia with vengeance but little-known purpose. 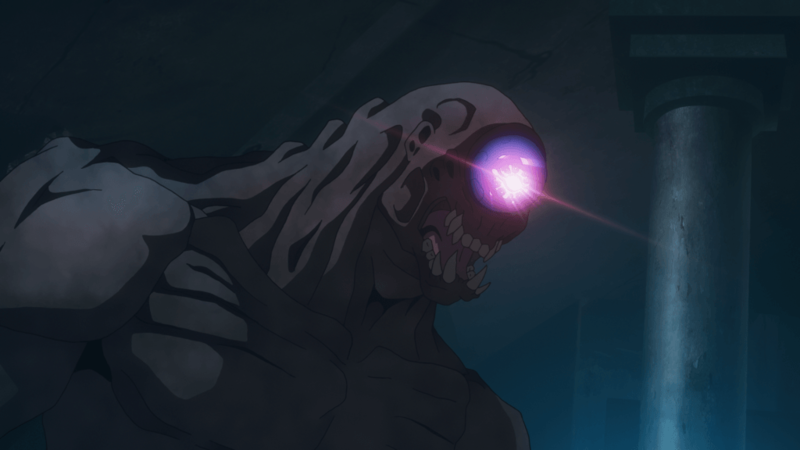 But with the town’s crippling fate and its overwrought corruption from the church and Dracula’s evil demonic followers, Trevor uses his skills and powers to restore justice and take down evil. He’s joined by a few trusted allies along the way as well, in many different forms, from religious peace-givers to magicians to even Dracula’s son. 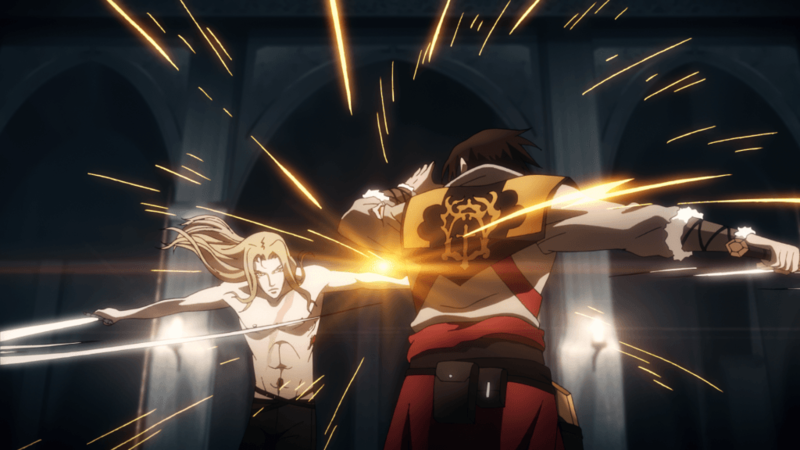 And that’s close to where Castlevania‘s oddly brief four-episode TV adaptation ends. At least, for now. Clocking in close to 93 minutes in length in total, Ellis and Shankar’s striking, if short-sighted, new series is better seen as an intriguing, teasing proof of concept than any definitive retelling of this gothic-enthused narrative for the time being. 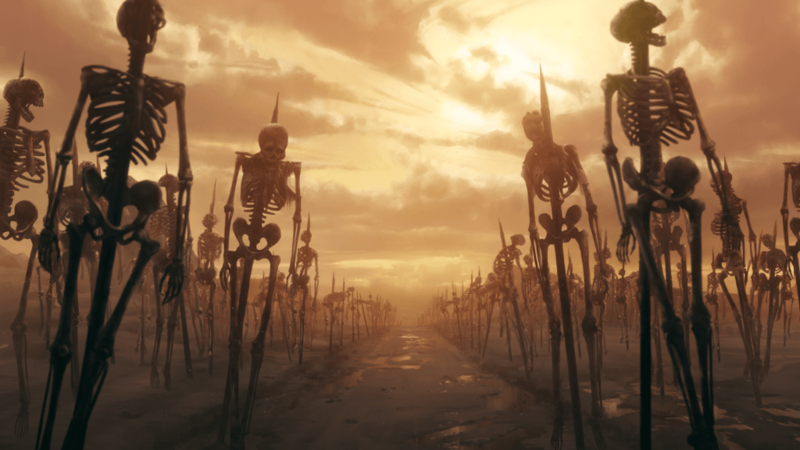 With a second season already confirmed by Netflix, with double the amount of episodes ordered, fans will get a better glimpse at the adaptation they’re clamoring to see in due time. Hopefully. 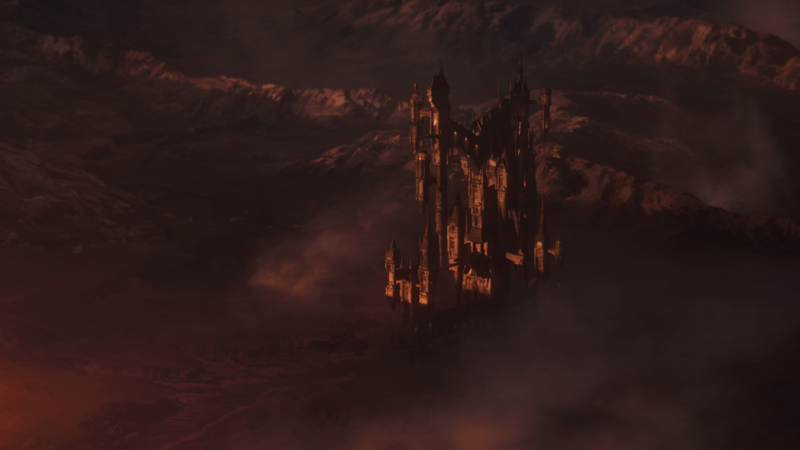 As it stands, however, Castlevania is an intriguing introduction/teaser. Whether or not it can fully live up to the expectations it ensues will need to be determined in season 2. As for what we’ve got right here, though, it’s hard to imagine many people feeling disappointed. 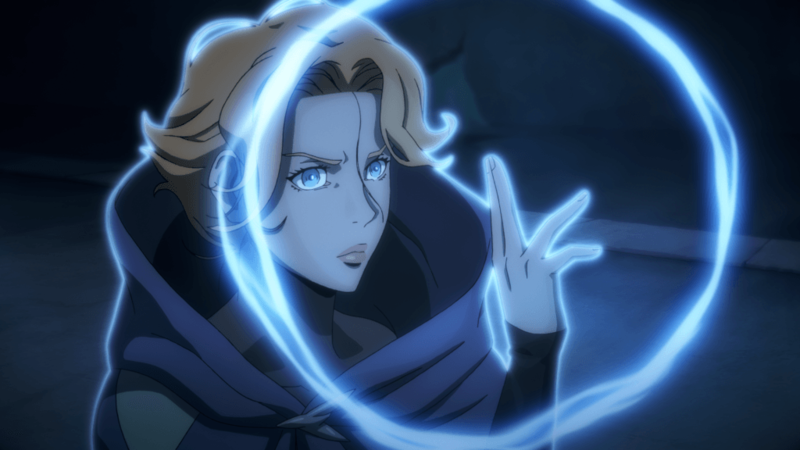 It’s hard to downplay just how gorgeous the animation and designs are in this new series. 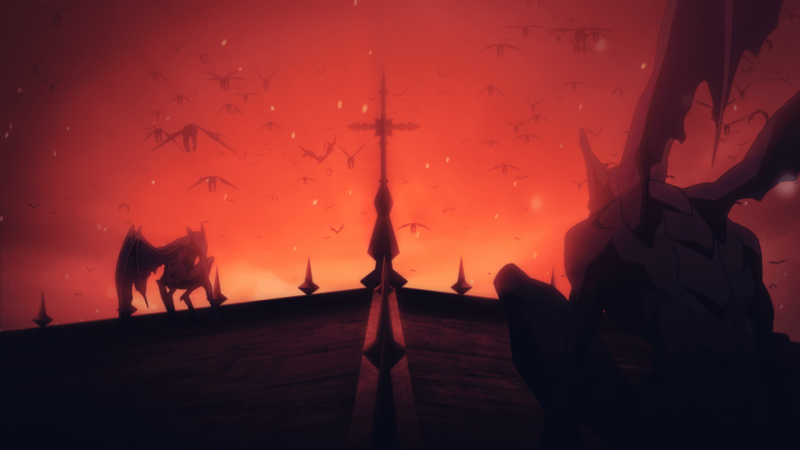 Every frame is stunning, especially in the pilot, and it proves that animation is ultimately the best format for adapting video games onto the screen. The textures and landscapes are crisp and very well-realized, and the character designs themselves are equally well-groomed. And while their motivations are established through some fairly thick exposition, outsiders to the property won’t have a full understanding of who they are, or why they’re worth following, just yet. But when the action sequences are as piercing, exhilarating and dazzling as they often are here, that’s hardly a concern. The building blocks are placed. 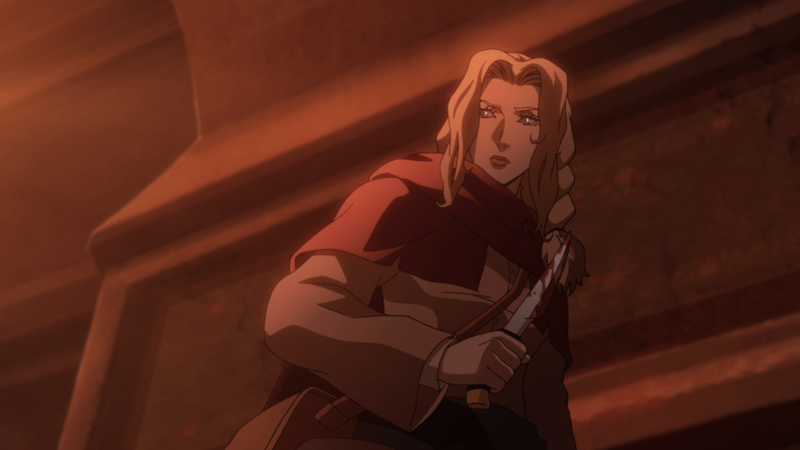 Netflix’s Castlevania proves itself to be an encouraging, if not fully absorbing, introduction for these characters, and while that might not be the warmest compliment I can give, that’s really saying something when it comes to video game adaptations. We’ve come a long way, and this new show is a damn good step forward. 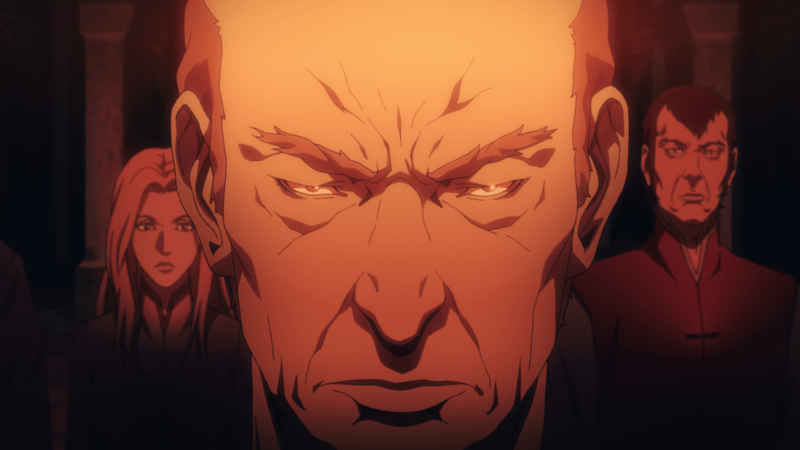 Now, we just need to hope season 2 lives up to all the established hype. 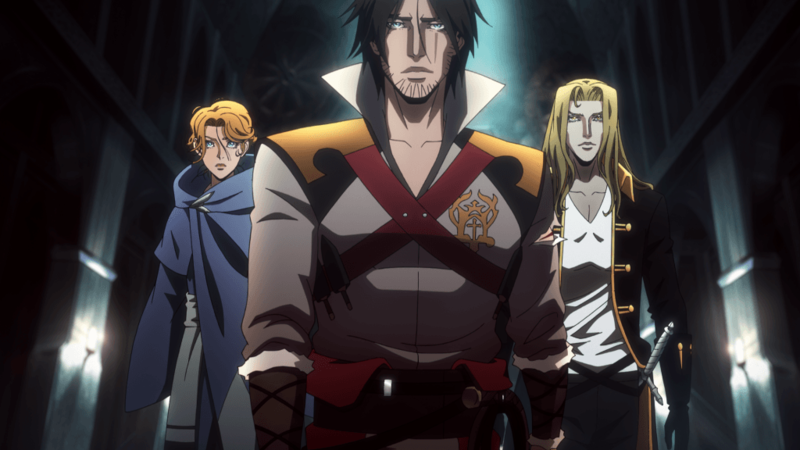 Bleak, bold, blackhearted, brutal and very, very bloody, Netflix’s Castlevania is an uneven, weirdly paced but vividly realized and often captivating anime adaptation, one that propels the video game genre to newfound heights and a promising, if very short, glimpse at the show’s potential. It whets fans’ appetites and sparks the interest of the occasional Netflix streamer. In the end, it’s ultimately a success, and one that’s worth following.